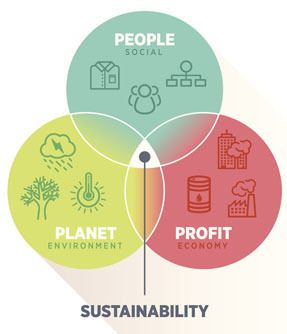 Sustainability is a hot-button issue, and its importance is only growing. In 2011, just 20 percent of Standard and Poor’s 500 companies published environmental, social, and governance (ESG) reports; by 2013, that figure had risen to 72 percent. Consumer preference is helping to drive this change. According to Nielsen, brands with a demonstrable commitment to sustainability grew by more than 4 percent globally in 2015, while their competitors grew by less than 1 percent. Moreover, 66 percent of people surveyed agreed they would be willing to pay more for sustainable goods. One need only look at the backlash against Volkswagen — with sales declining across multiple markets following its 2015 emissions scandal — to see how damaging it can be to neglect or fake this commitment. In today’s market, accurate and detailed information on sustainability is no longer a competitive advantage; it’s a business essential. It has other advantages, too. A McKinsey survey found that more than 90 percent of executives saw risk management as one of the primary triggers of their sustainability initiatives, with soaring commodity prices being a particular concern. But while many companies have adopted eye-catching green initiatives, one of the simplest environmental and cost-saving solutions can be found closer to home: reducing office printing volume.